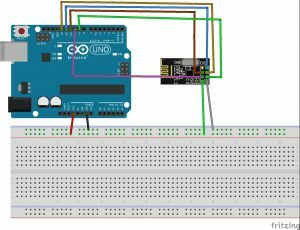 In this Arduino tutorial you will learn how to make a wireless communication between two Arduino boards using the NRF24L01. Also you can measure distance with ultrasonic sensor and transmit it to another Arduino with transceiver module. Firstly import the library to the Arduino IDE , follow the schematic above to connect the ultrasonic sensor and NRF module. Then upload the code named “transmiter”. 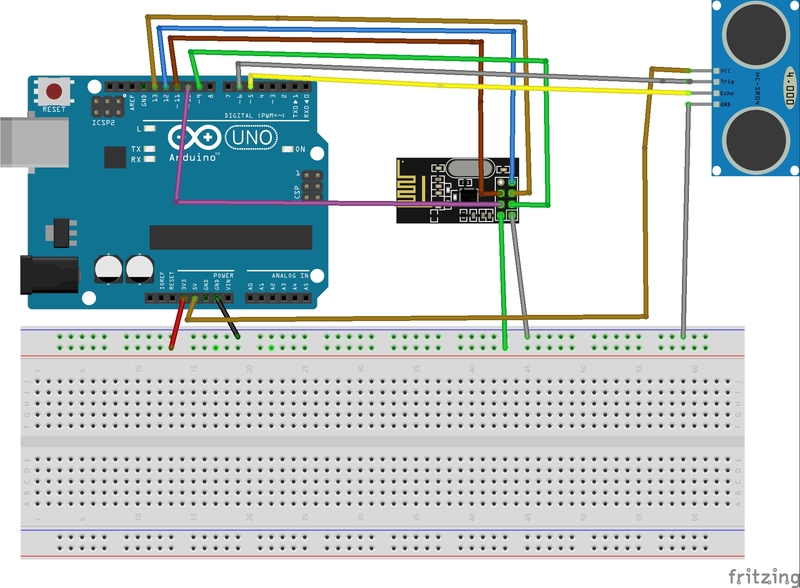 Finally upload the second code to the other arduino named as receiver.